WHERE: Monroe College, GADDY HALL, 380 Main Street, New Rochelle, N.Y. PLEASE NOTE: SEATING IS STRICTLY LIMITED TO THE FIRST 75 REGISTRANTS. [NOTE! We will send a confirmation of registration by return email. NOTE: You will not be admitted if you arrive 10 minutes or more after the program begins. Also, if you enroll for a CLE class and are unable to attend, please call Jeff Levin, Esq. at 725-3468 at least 24 hours in advance so that members who may have been placed on a waiting list can be registered. If you enroll but fail to timely cancel for more than one CLE class, you may be precluded from attending future CLEs. 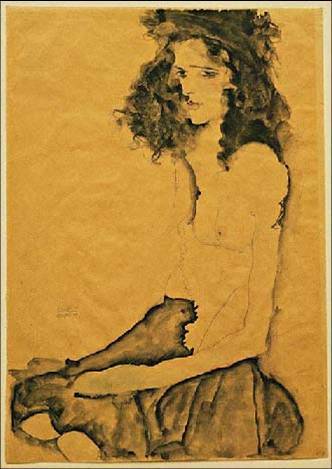 For more information on Nazi art looting, check out Can A Jewish Man Imprisoned In The Dachau Concentration Camp Transfer Good Title To A Schiele Painting?